Is there a secret to wearing pumps? So many people have messaged me about the sky blue Kurt Geiger heels (mainly going crackers for the colour) that I feel duty bound to tell you that KG also do a flat in the same shade – Lagoon. Gawjus, aren’t they? Unlike my hiiiiiigh heels, I’d be able to wear those babies on an almost daily basis. 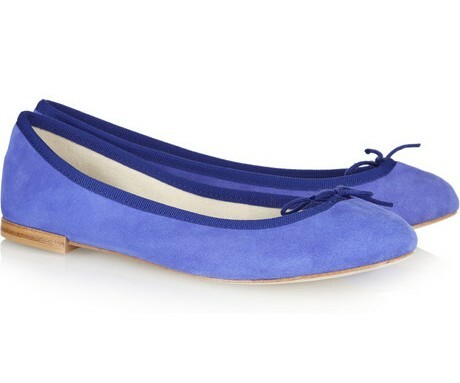 And pumps (or ballet flats, to my American friends) are going to be more popular than ever this spring (get me, and my fashion predictions). But I just can’t seem to wear them. I tried some on in TK Maxx this morning and the minute my foot slipped in I was in burning agony. They crush the top of my feet. Is it because I’m flat-footed, I wonder (an arch is sadly absent from my tootsies)? My feet are narrow, so it isn’t a “width issue” (!) Any ideas? Any tips? 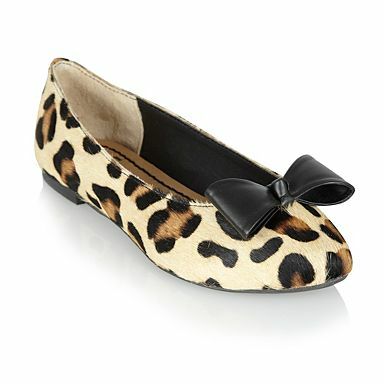 I get the top problem too, and i read somewhere that ballet flats arent really very good for your feet as you have to curl your toes slightly to make them stay on (thus making them touch the top of the shoe more). I would like some sky blue shoes with a kitten heel ideally as I can’t wear tall heels either – unless I am sitting down all evening. But I havent yet seen any anywhere. (that are within my budget). I’ve seen this trend celine outlet gradually grow from nostalgic letter jackets to full out Alexander Wang mesh dresses via my Neiman Marcus feed. A trend celine bag sure to hold some popularity due to the comfort it provides its wearer and fresh feel that celine handbag can easily be kept feminine with the right accessories.Before I delve into celine outlet the book though, I went to the ridiculously lush n’ plush penthouse suite at the W London Hotel where celine bags AH antics have been going on all day and will go on late into the night. I’ve never seen a freestanding double basin island in a hotel bathroom before but this facilitated the WAH girls to set up a mini nail salon, complete with an MTV Cribs-style jacuzzi in the backdrop. I’ll be celine bags disappointed if people don’t take advantage of the tub and end up there with geysers on full blast and champers flowing.Celine Luggage tote of how objects and ideas go viral and get spread from person to person really plays a party in my daily life I think. Celine Tote. No longer are items being marketed to the “safe” consumer growing at exponential rates. Instead, I’ve been seen a huge increase in very specifically tailored objects and services getting hugely popular because they’re Celine Purse different and it makes people want to tell other people about it. 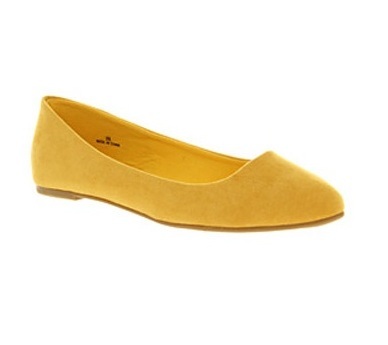 Today’s color in manolo blahnik outlet Brynn’s gorgeous color series is yellow! And upon further investigation of my cupboards and closet it turns celine luggage out I have very little of this sunshiny color. I must fix that. The top board is a collection of things manolo blahnik online that I found around my house (yes Mila, I stole some of your toys for this photoshoot), and the bottom one is a few lovely yellow items that I wouldn’t mind adding to my wardrobe.Before I delve into celine outlet the book though, I went to the ridiculously lush n’ plush penthouse suite at the W London Hotel where celine bags AH antics have been going on all day and will go on late into the night. I’ve never seen a freestanding double basin island in a hotel bathroom before but this facilitated the WAH girls to set up a mini nail salon, complete with an MTV Cribs-style jacuzzi in the backdrop. I’ll be celine bags disappointed if people don’t take advantage of the tub and end up there with geysers on full blast and champers flowing.